If you are someone who loves fresh, clean and light fragrance, you cannot count out this perfume. Tom Ford Neroli Portofino was released back then in 2011. Up until now this perfume still holds a big part for a seasonal choice that shows us its attractive and versatile sides, offering us with both citrus and white floral aroma. Smelling this will bring you further into the summer season, such energetic season with so much happiness. Even though summer becomes the main content, but you can also find it suitable for spring and even fall season. Nonetheless, Tom Ford Neroli certainly has a strong presence of citrus and orange in it. Citrus is the right aroma that will bring you confidence, attractiveness, and a great pleasant scent in your first meeting. Maybe you will find it inviting with this authentic fragrance. So let’s bring it further, shall we? Involved in its recent success when releasing of Eau de Cologne, the lightest perfume specialized in citrus scent. Tom Ford brings us a product with characteristics similar to the previous. Tom Ford Neroli Portofino is the product produced by Tom Ford company. The fragrance was designed and crafted by the perfumer Rodrigo Flores-Roux. Tom Ford Neroli is trying to inject the fresh citrus aroma with a new method. Unlike his previous creation, Tom Ford Neroli Portofino comes up with a versatile aroma, which fits for unisex. Both men and women will love this fragrance. Perhaps even the young and old will find it acceptable as well. Tom Ford Neroli Portofino comes up right away with the citrus aroma. Then the aroma is joined by the spicy, fresh, and sweet aroma. These aromas are constructed from African flower, bergamot, mandarin orange, amber, neroli, and lavender. These are enhanced further with angelica, jasmine flower, and lemon. Close up with some musky mallow and pittosporum which dense its citrus aroma and solidify the result. Overall, Tom Ford Neroli Portofino’s main idea is to enhance citrus aroma even more. That idea comes up with some balance forms by the freshness and variation minimal scent. 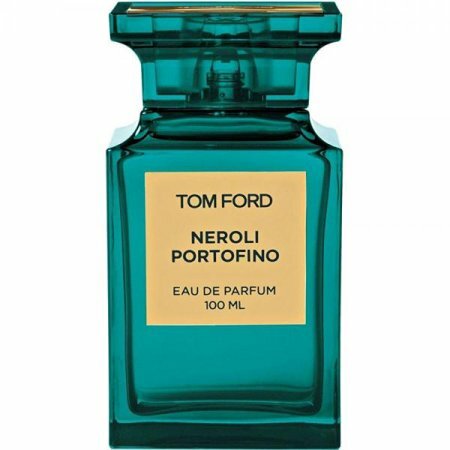 Most people find it interesting but some also feel that Tom Ford Neroli Portofino is like the upgrade of Eau de Cologne. If you want to keep it all day long, then you must bring it along with you, because this fragrance’s scent is unlikely to last too long. Maybe it will last up to 6 until 7 hours. Above that time the scent starts to diminish bit by bit. – Suitable for daytime, summer, spring, and fall wear. Shines in summer. Sillage is rather weak; some people consider that it is too much citrus scent. Check the best price for Tom Ford Neroli Portofino here!